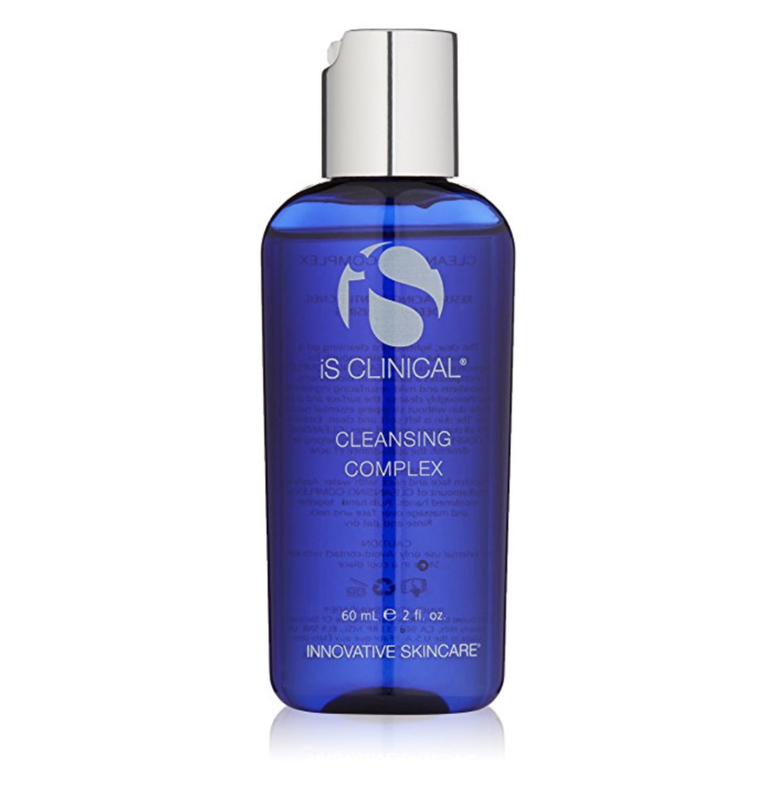 After examining my skin, Samantha from the Dangene Institute of Skinovation recommended I start using IS Clinical Cleansing Complex. A bit skeptical I ordered my first bottle and haven't skipped a day without using it since. This clear, lightweight cleansing gel is powerful, yet gentle enough for hypersensitive skin. It incorporates a balance of bio-nutrients, antioxidants, and mild resurfacing ingredients that thoroughly cleanse the surface and pores of the skin without stripping essential natural oils, leaving skin soft and smooth. Excellent for all skin types and all ages, this product even helps with blemish-prone skin. Sugar Cane extract, a source of Glycolic Acid, gently exfoliates the skin for a renewed complexion. White Willow Bark Extract, a source of Salicylic Acid, exfoliates the skin and deep-cleanses pores. Centella Asiatica, a powerful antioxidant with nourishing properties, helps diminish the appearance of premature aging and finally, Chamomile Flower Extract, highly active antioxidant, helps protect against the visual effects of photo-damage while providing calming properties. Samantha recommended I wash my face applying a small amount (pea size) of the Cleansing Complex with warm water (not hot, not cold) morning and evening every day. After only a week following this routine, my skin was already much more balanced and clear. It literally changed my skin.